CSCS is also known as the construction safety and certification scheme, has an important role to play in the lives of those employees who usually work on a construction site. This scheme was introduced keeping in mind the safety of the workers and took its final shape in the year 1995. 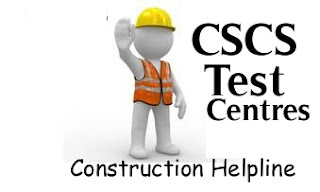 Workers who undergo these CSCS tests help to bring down the accidents that have been causing severe threats to the life of the workers. It is a sort of test which every construction worker has to undergo so as to provide him with the basic training which is related to health and safety topics. 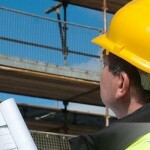 It later on help them to apply for what is known as the CSCS cards. It is true that if you don’t have these cards, you will not be allowed to work in the construction site and obviously you cannot get these cards without passing the test. This test help you in understanding the basic knowledge of health and safety that needs to be followed by a site to save you as well as your colleague’s life from danger. If you are successful in this test, it can greatly enhance your chances of getting into a construction site.This is because this test is seen as a stepping stone for taking an employee to work. These cards act serve the purpose of an identity for the workers and many different types of cards have been given to the many different types of workers. In a usual scenario, this card depicts the capacity, experience as well as the depth of knowledge the worker has preserved in the particular field. It is very difficult for you to get an access in a work site without clearing the CSCS test is difficult in UK and most of the other countries. You will see these cards in many different and vibrant colors for each level ranging from red, gold, blue, white and others. Each color stands for the position an employee holds. It is not very difficult to take this test. Moreover, you can take this test at centers spread all over UK and other countries. The government has tried to make provisions for conducting these tests even in temporary vehicles. Al these vehicles are equipped for conducting such test in places where there is no proper exam centers. You can even book the CSCS test online and on booking you will be given alternatives so that you can choose your own suitable venue and timing which is comfortable for you. You will also be provided with many revision topics, which you can revise and learn before attending the test. This facility is also available even for experienced workers. The tests contain multiple choice questions and are conducted by using the touch screen computer. When you fill in the online registration form, the test can be taken as single or multiple users. With facilities available get yourself started in clearing CSCS and improve yourself better.